Our range of products include crane wire rope, wire rope and elevator rope. We are instrumental in offering our valued clients with precision made Wire Rope, which are used to harness various kinds of goods. Moreover, our Wire Rope are flexible, durable and long lasting, ductile, easy to inspect, collapsible for convenient storage, and will adhere securely to the contours of a load. 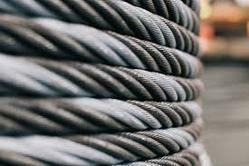 Our clients can avail Wire Rope in various technical specifications as per their requirements. 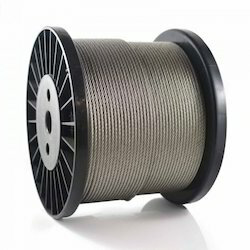 We offer these Wire Rope products at very reasonable price and we looking buyer of Wire Rope from all over India. Riding on unfathomable volumes of industrial expertise, we are offering an excellent range of Elevator Wire Rope.